Irresistible! Be the next super star in Nigeria, Register Now for Face of Lam 2016. Bringing the best of the young pageant hopefuls such as their goals, their self-confidence, talents, commitment to public service and their drive for success. 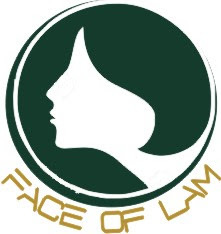 Face of LAM winner will be a role model and inspiration to youths, helping them believe in themselves that anything and everything is achievable, also campaign for various cause (such as breast cancer awareness, HIV/AIDS awareness, child abuse, free education, environmental abuse, drugs abuse etc). No camping, no catwalk, no audition. – Voting will be done via our Facebook and Instagram page. Have you read it? : (Dont Miss this opportunity)Register Now For Face of Newsland 2016.Click to Read more. – All applicants will be signed under LAM modelling academy and ushers management with a month training free. – All applicants will feature in LAM online magazine. Check Out AMAA 2016 Award Categories- ALL MODEL ACHIVERS AWARD,Nomination is On Now.